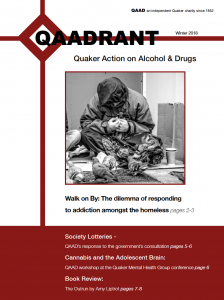 QAADRANT is the quarterly publication of QAAD, which contains a combination of news, articles, personal experiences and insights and letters. 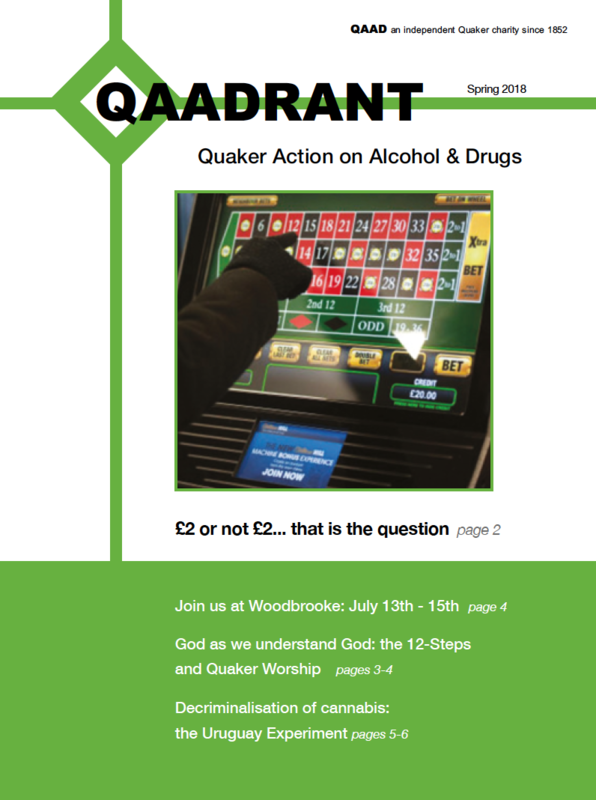 The magazine is published as an insert in the Quaker journal the Friend and is also circulated by post to individual Friends on request. 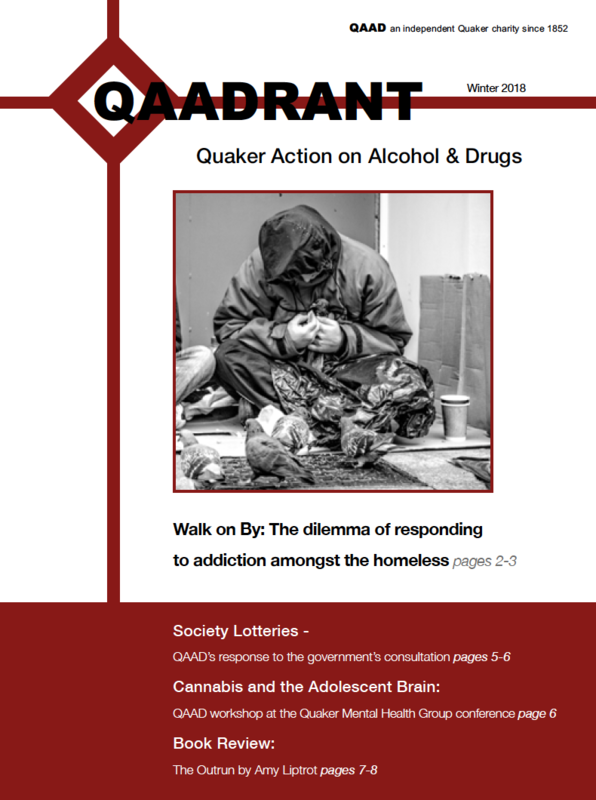 We know that it finds its way into many circles through Friends’ initiatives, including prisons and treatment agencies. 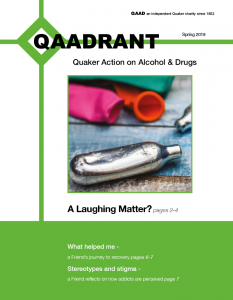 QAADRANT is also available online. 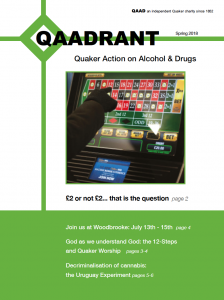 We very much welcome contributions from Friends on any subject within our concern – the use and problem use of alcohol, other drugs: legal, illegal and prescribed, and gambling. 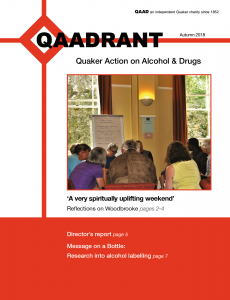 QAADRANT is edited by a small group of trustees and QAAD’s Director, Helena Chambers. Contributions can be of any length up to 1,000 words. 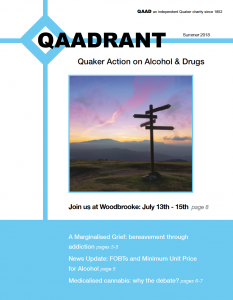 We welcome personal pieces, views on policy or social issues, personal insights into recovery, book reviews and creative contributions such as poetry. 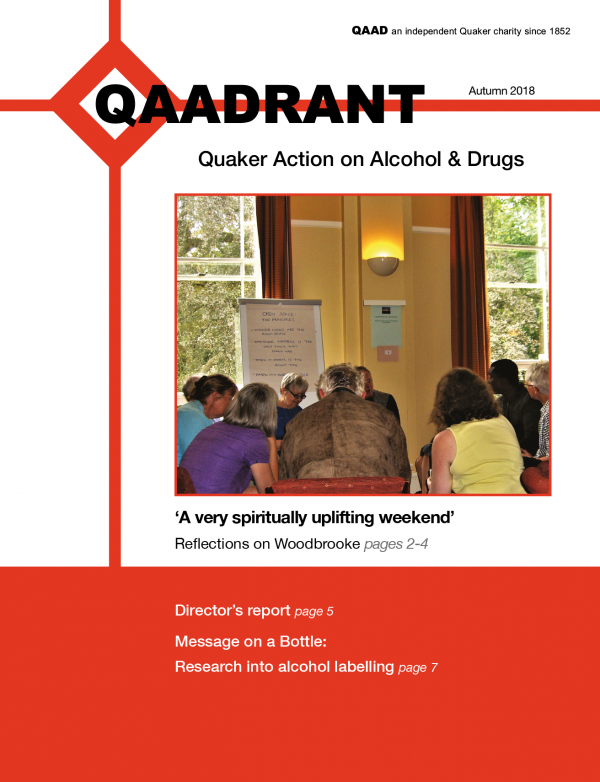 Perspectives on those with direct experience of problems or from their close others are also featured regularly. 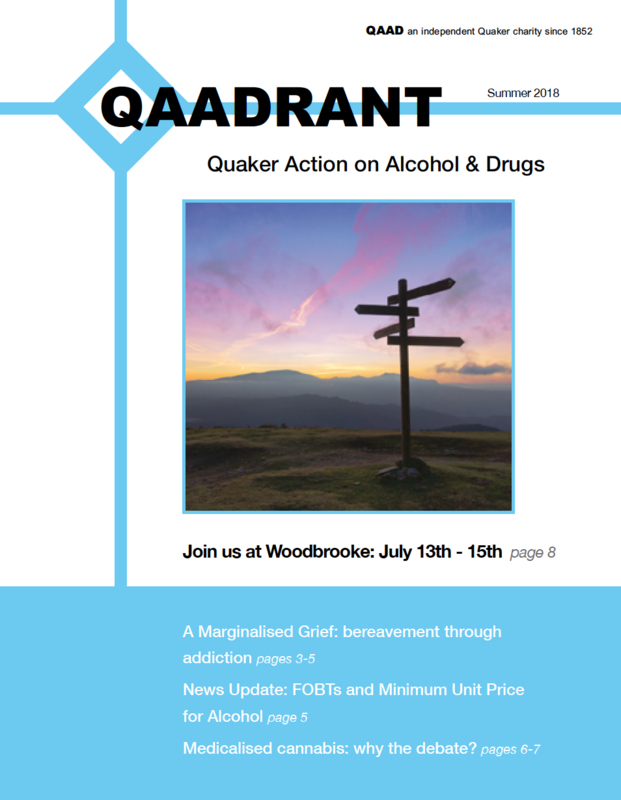 If you would like to write for us, please contact Helena Chambers (see contact page), who will be very glad to give more information. Medicalised cannabis: why the debate?